Work to remediate a 1930s-era abandoned well in Marina del Rey will continue throughout the weekend. Work to repair a vintage oil well resumes with preparations for pumping about 20 cubic feet of cement into the well. Work to clean out and re-abandon the well at 4360 Via Marina is continuing. Work to clean out and re-abandon the well at 4360 Via Marina is continuing. The Community Health, Safety and Notification Plan developed by Unified Command is available. Work to clean out and re-abandon the well at 4360 Via Marina will continue throughout the weekend. Additionally, the Community Health, Safety and Notification Plan developed by Unified Command is now available. Well abandonment operations continue. Ongoing work to repair the well may cause noise and vibrations in the immediate vicinity of the well during the day on Tuesday, February 5. Well abandonment operations continue. Ongoing work to repair the well may cause noise and vibrations in the immediate vicinity of the well during the day on Monday, February 4. Well re-abandonment operations are going as planned. Rainy weather has not impacted operations. Click on a title below, to view or download archived press release documents. For the meeting schedules of the Beach Commission, Small Craft Harbor Commission and Design Control Board, see the Public Meetings Calendar. There are no additional public meetings at this time. 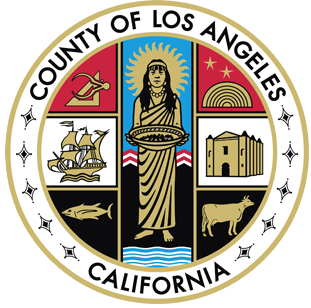 Crews from the City of Los Angeles Department of Public Works are expected to work Sept. 23 on Via Marina as part of the Venice Dual Force Main project. The City of Los Angeles Department of Public Works is expected to implement traffic control measures along Via Marina on Sept. 19 as part of the Venice Dual Force Main project. Traffic control measures at Marquesas Way and Via Dulce for the Venice Dual Force Main project will begin Sept. 9. Construction activities at Marina del Rey Parking Lot 8, located between Oxford Basin and the Hilton Garden Inn, began April 24 and are expected to continue through Oct. 2, 2017. Pre-construction activities on the Venice Dual Force Main project are scheduled to start April 24 and are expected to continue through June 30. Malibu’s Zonker Harris beach accessway closed on June 17, 2016, as a result of surf-related damage (see photos). The 200-foot-long ramp at 22670 Pacific Coast Highway sustained damage at about the halfway mark, leaving it impassable. Click on a Beach name below to download Beach Photos.